An employee of Banner Boswell Hospital in Sun City, AZ has been arrested and jailed for stealing credit card details from hospital patients. Filip Chudziak, 40, of Surprise, AZ was charged with identity theft, fraudulent schemes, and fraudulent use of credit cards by the Maricopa County Sheriff’s Office this weekend following an investigation into credit card fraud by Maricopa County detectives. The offenses were committed over a period of three months. 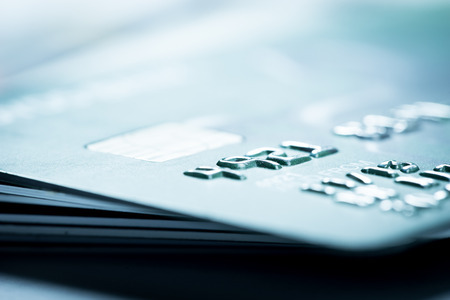 Potentially fraudulent transactions were reported to law enforcement by Joe Bob’s Outfitters in Kansas and also reported to the Hays City Police Department by multiple patients who had noticed fraudulent charges on their credit card statements. Chudziak’s role at Banner Boswell Hospital involved moving patients and their possessions while they were receiving treatment at the hospital. Chudziak allegedly used access to patients’ possessions to obtain their credit cards. He then used those details to make online purchases at Joe Bob’s Outfitters. Using his mother-in-law’s name and a number of different billing addresses, Chudziak purchased gun parts, tools, and other items from the store. Detectives were able to match the fraudulent card purchases to Chudziak using the mailing addresses supplied with the orders. The suspect was identified after contacting his mother-in-law, whose name was on the delivery address. Detectives contacted Banner Boswell Hospital which confirmed he was a current employee. The arrest was made at the hospital. Chudziak claimed he had always wanted an AR-15 but could not afford to buy the gun because money was tight. He said he used patients’ credit cards to purchase AR-15 parts to construct the weapon.